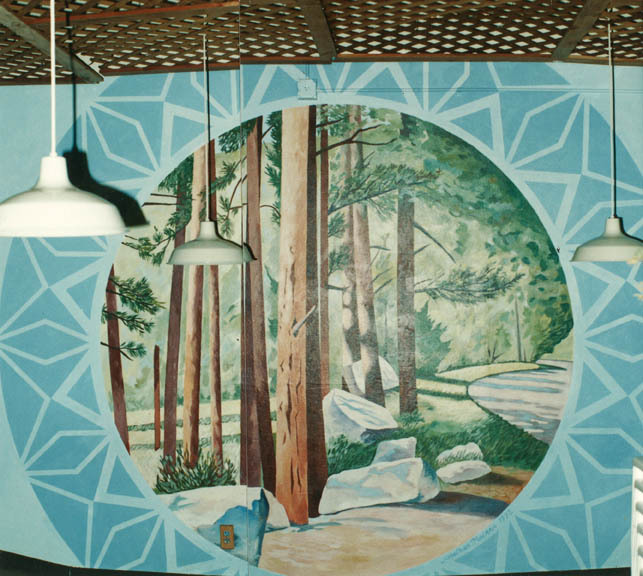 Creative Cafe Mural, Boulder, 1992. Commissioned by Charles Blair for the Creative Cafe restaurant he ran on Pearl St. at the time. 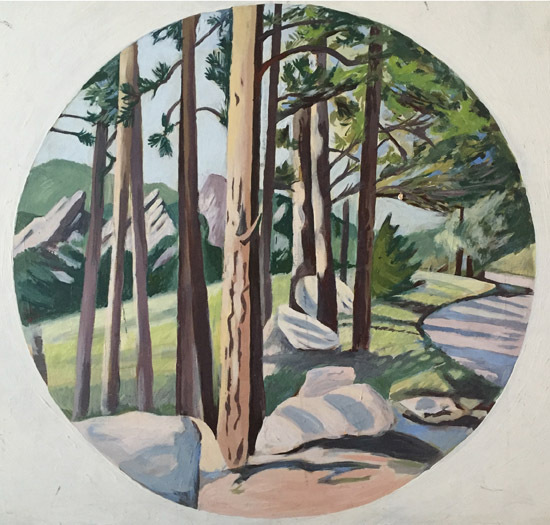 I had a circular image of Boulder’s flatirons with Flagstaff road, and used that to make a ‘nature mandala’ with geometric stylings around the circumference to emphasize the sacred nature of this natural scene. It took me several weeks to complete the Mandala. I was paid in food.